Believe it or not, weekly pool vaccuming is a thing of the past. How? Three words: three-way filtration. 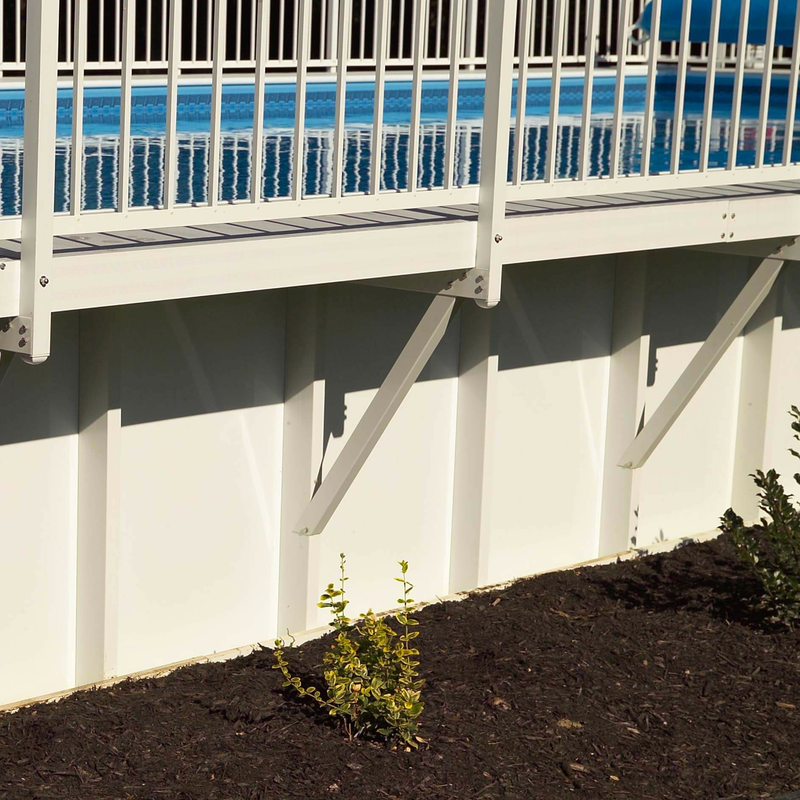 Our exclusive filtration system operates around the clock to give you, and your family, more pool time and less cleaning time. Imagine that, one less chore to think about! Safety. Many high-end pool manufacturers utilize bottom suction drains, but genuine Kayak filtration systems keep the little ones in mind. Our engineers developed a unique atmospheric release system designed to divert suction to an alternate drain releasing the blockage. No need to worry about your deep sea explorers or pool toys stuck near the drains! While safety is a major benefit of a genuine Kayak filtration system, there are numerous other benefits. Featuring a two-layer aluminum construction with a honeycomb plastic core, our water walls are insulating & stable - kick turns welcome! 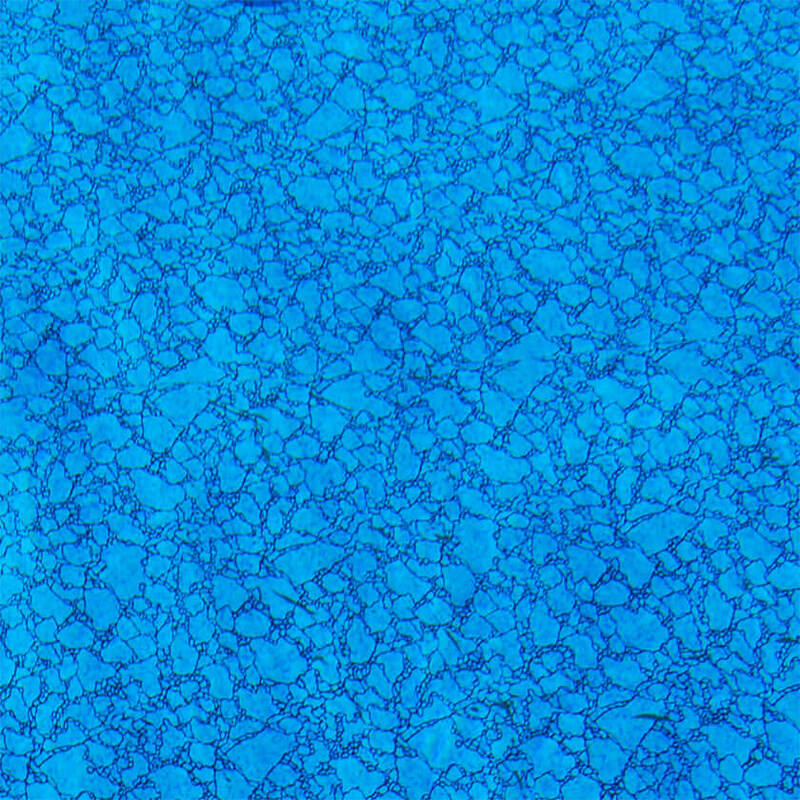 Our two layer pool liners are strong. Constructed with zero recycled plastics & treated with an ultraviolet ray inhibitor, your liner will look vibrant for decades. 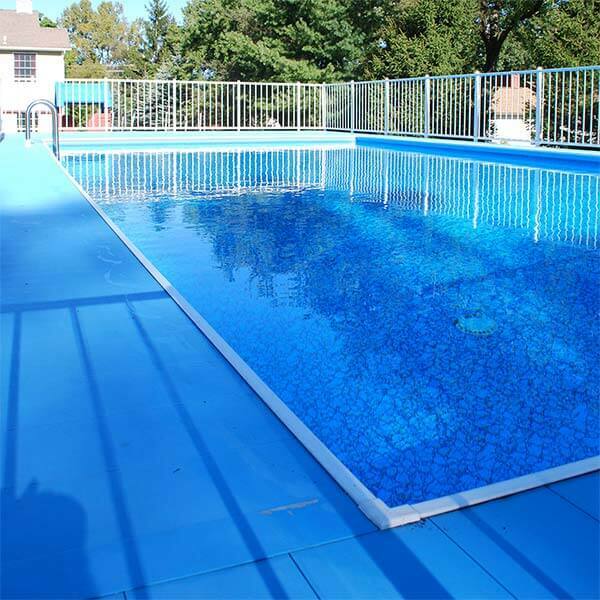 Safety is a top concern for any pool owner - we have it covered. 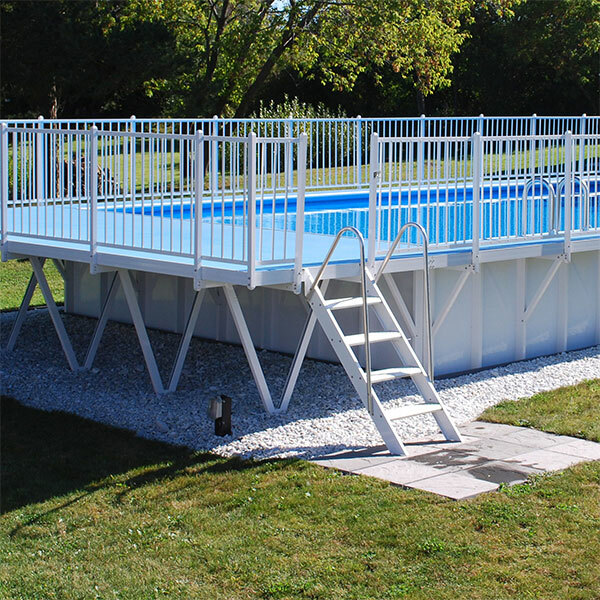 With swing up locking ladders & sturdy gated fences, your guests will be safe in and out of the pool.